1 What is Dyshidrotic Dermatitis? Dyshidrotic dermatitis is a medical skin condition that primarily affects our hands and feet with small blisters. 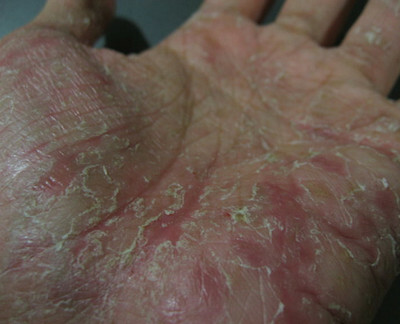 This condition is also referred as pompholyx, dyshidrotic eczema or vesicular eczema. The term dyshidrotic is used in relation to the sweat glands, which signifies the connection to sweat glands affectation while the term pompholyx is taken from the Greek language, meaning bubble. About 5% to 20% of patients who suffer from eczema are suffering from dyshidrotic dermatitis. According to research, the commonly affected populations are those people who reside in a place with a warm climate. In addition, this frequently appears during the summer season. There is no specific gender affected from this skin problem. However, middle-aged individuals are usually victims of dyshidrotic dermatitis with 38 years as the mean age target. This condition is rare in children, but they do become susceptible when they have a history of atopic dermatitis. Dyshidrotic dermatitis can be easily diagnosed through a physical examination. Simple examination of the skin blisters can support for the final diagnosis. A family history of dyshidrotic dermatitis can also help conclude for the diagnosis. In order to rule out other conditions, a skin biopsy is performed. Potassium hydroxide test is also performed to rule out fungal infection and contact dermatitis, a very different skin condition that is characterized by a local rash or skin irritation. In KOH test, skin scrapings mixed with KOH solution are viewed with a use of microscope. Another test is called the patch test, which can detect if the cause is from hypersensitivity/allergic reaction. Pruritus which is accompanied by with onset of vesicles. Intense burning sensation frequently appears before the emergence of vesicles. Blistering is noted which are noted as small but deep and more in number on the sides of the palms, fingers and on the soles of feet. This is only possible when infection has developed. Palms of the hand and soles of the feet become reddish (inflamed) and are warm to touch. 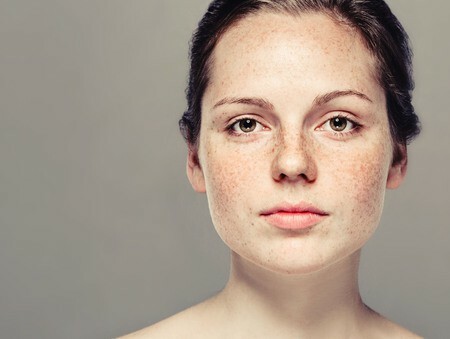 The areas affected are prominent to sweating which can lead to skin cracking and peeling when dried. There is a big chance of nail changes most especially when the condition persists and not properly managed. Ridges on the nails and indentations are noted. Nail thickening and discoloration may also develop. According to study, monozygotic twins are found susceptible from dyshidrotic dermatitis. Even though explanation from its contribution is not clear, relation is found from a believed genetic mutation of the filaggrin gene that leads to its loss and dyskeratinization. The more sweaty a person’s hand and feet are, the more they become at risk for the development of this skin condition. There have been disputes for its association, sweat ducts may or may not be the contributing factor for its development. People sensitive to nickel may develop dyshidrotic dermatitis when exposed to such element. While those who ingest cobalt accidentally and are known to be sensitive to it are also at risk for the skin disease’ development. According to research, a number of atopic diathesis conditions can lead to dyshidrotic dermatitis. These familial conditions such as eczema, hay fever, asthma and sinusitis are the considered triggering conditions. Those who suffer from fungal infection become susceptible from another skin condition. Others with a weak immune system, such as those who had contracted HIV-AIDS, are evidently susceptible from dyshidrotic dermatitis. This is considered as one of the most common risk factor for dyshidrotic dermatitis. A lot of dyshidrotic dermatitis patients suffer from its flare-ups when distressed. In order to relieve the pruritus, taking of oral antihistamines can do the trick. Anti-pruritics are also dispensed for patients. The drugs may include Benadryl (diphenhydramine) or loratadine. Ointments or creams. Corticosteroid creams that can help reduce the blister and the accompanying discomfort are provided to patients. This can also facilitate improvement from the redness and cracks from dyshidrotic dermatitis. There are cases where oral steroids are provided which present good and favorable results from severe cases. Ointments which contain immune-suppressing action such as tacrolimus and pimecrolimus are very helpful in treating unresponsive cases. This can help suppress the process of the immune process, which reduces the inflammation from the skin blisters and pruritus. However, skin infection may be a complication from taking such type of drug. Phototherapy. This has been noted to provide great results and is very effective in the end. This shall use light therapy (psoralen plus ultraviolet A) which is provides less irritation. Botox injections. This treatment may sound odd but has considerable good results that treat the severe cases of dyshidrotic dermatitis. On the other hand, not all physicians practice this form of intervention. Cold compress. This can variably alleviate the itchiness. It is much recommended to provide such compress when one is using topical creams with it. Continue home care. One should avoid scratching the rashes, especially the blisters. Do not keep the hands or feet too dry, by applying some moisturizing cream after wash. If the case presents that skin sensitivities caused the skin problem, one should avoid it and all other forms of skin irritants such as detergent soaps and the like.